OUR LADY OF POLAND Parish in Riverhead is seeking donations to renovate the church, built in 1918, which is in desperate need of repair. When Father' Stanley Kondeja became pastor of Our Lady of Poland Roman Catholic Church in Southampton in 1994, he knew that. his church would someday need repairs. Built in 1918, the building is now in structural peril until enough money can be raised for renovations. "The structure of our beautiful church is in dire need of repair," said Kondeja. "I am hoping that people will realize the importance of saving our parish and preserving a very important piece of history." According to Kondeja, the first Polish immigrants came to Southampton in 1890. 'Led by Francis , Kruszewski, who had initially settled in Riverhead in 1886 but moved to Southampton to become a farmer, the Polish community grew to about six families in 1901. 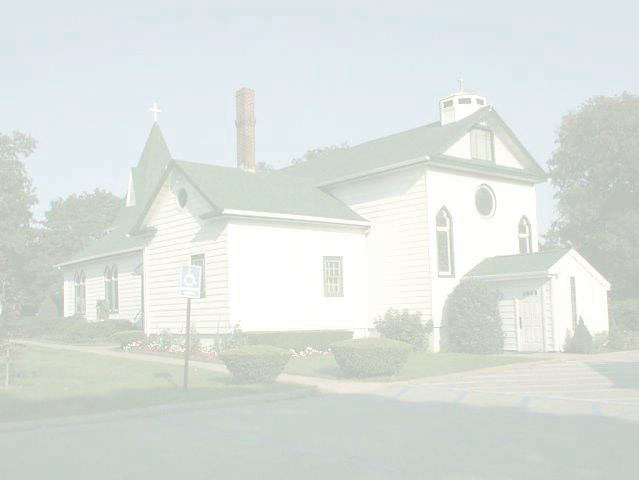 By 1918, when OLP was first built, there were approximately 29 families in the congregation. There are now about 380 active families in the church said Kondeja. Last renovated in 1956, the building now is literally collapsing. "The roof is pushing on the south wall, which is a main, structural wall," said Sister Kathryn Schlueter, a member of the restoration committee and principal of the church's Our Lady of the Hamptons, School. "The side walls at the front of the church are separating from the room and have to be held by support beams." With approval for the project being granted by the Diocese of Rockville Centre, fundraising began last February. Having already raised approximately $515,000 in actual funds, and another. $100,000 in pledges, Kondeja said that the entire project will cost approximately $1 million. "I have been very pleased with the amount of support we have had so far," said Kondeja. "Everyone has been struggling to raise money for this cause. Last Sunday was beautiful. People came together during services like never I before to give what they can." Diocesan guidelines mandate that 50% of the total estimated cost must be raised before any work can begin. "This is designed to ensure that , funding will be available to complete. the project," said Kondeja, noting that, in addition to hiring an architect' to complete the actual construction, other more intricate work is necessary, such as electrical rewiring. "There is a lot to do," he said. Those interested in making a contribution to the church can call Kondeja at 283-0667, or write to him at the OLP Rectory, 35 Maple Street, Southampton, NY 11968. He also can be reached by email at skondeja@optonline.net. "This is the time when we call upon all of our parishioners, visitors and friends. We need your help to make this a reality," said Kondeja. "I love this church, and I ask you to work and pray that the next generation of Catholics may truly value the place of Our Lady of Poland Church in the history of Southampton and their own families."